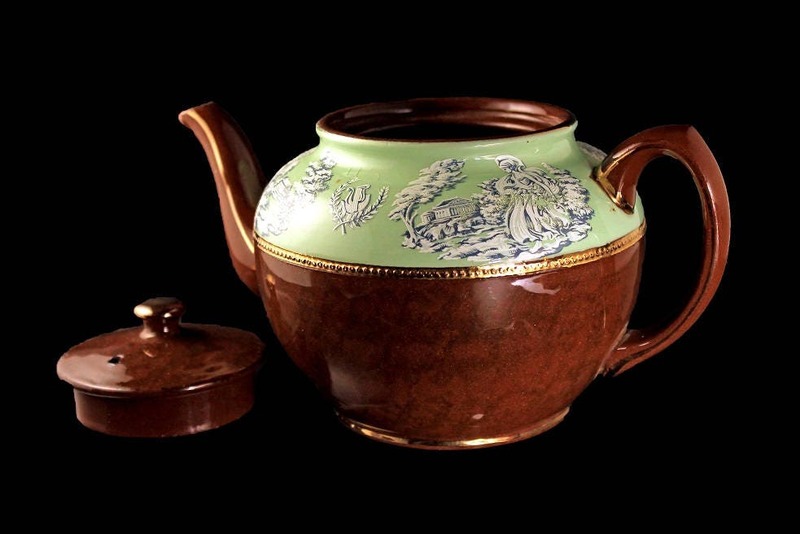 A lovely brown teapot by Sadler Staffordshire England. It has a brown body with a green band with white Greek figures on the top near the rim. 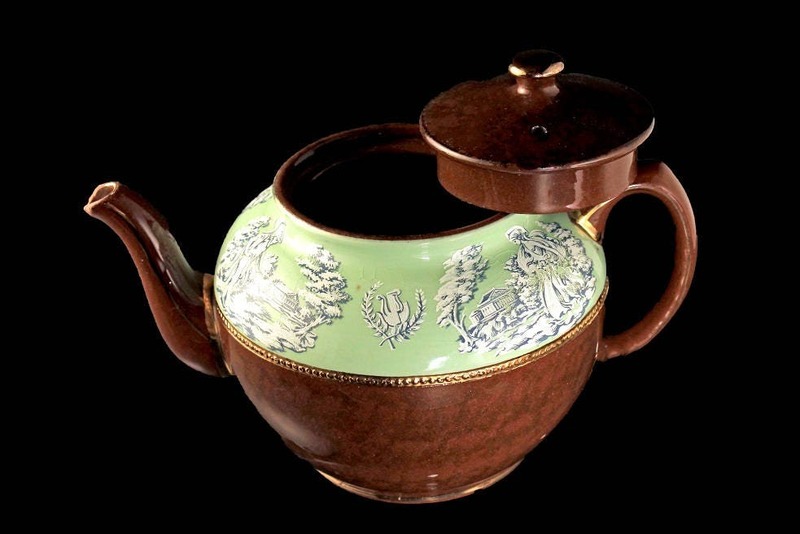 There is a gold between the brown body and green band as well as on the lid, spout, and lid. 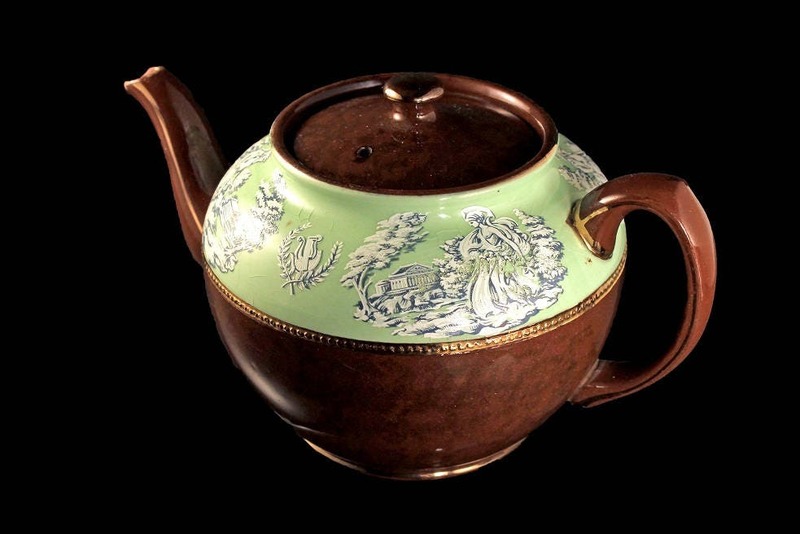 This teapot would be great for an afternoon tea on the veranda, porch, or patio. This teapot is in good condition. It has no cracks or crazing. The spout has a number of chips, please see photo 5. Even with the chips, the teapot pours nicely. 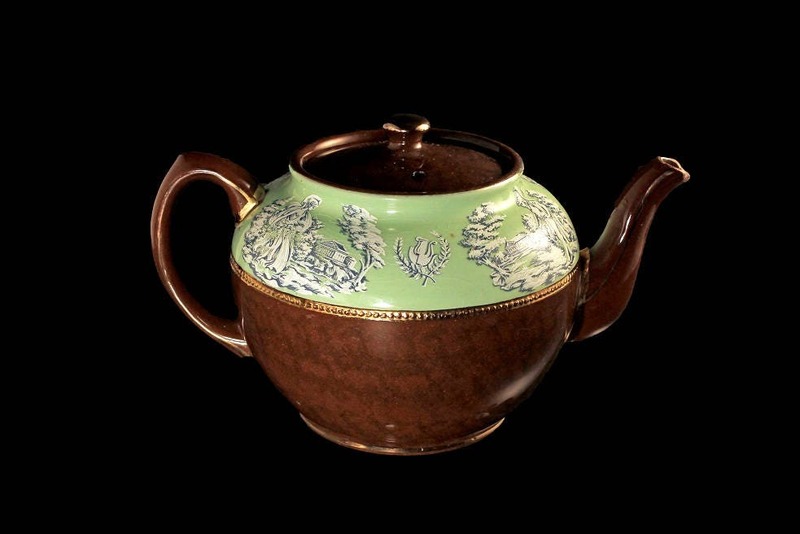 The gold is rubbed especially around the spout and on the lid. Our price reflects this teapots imperfection. 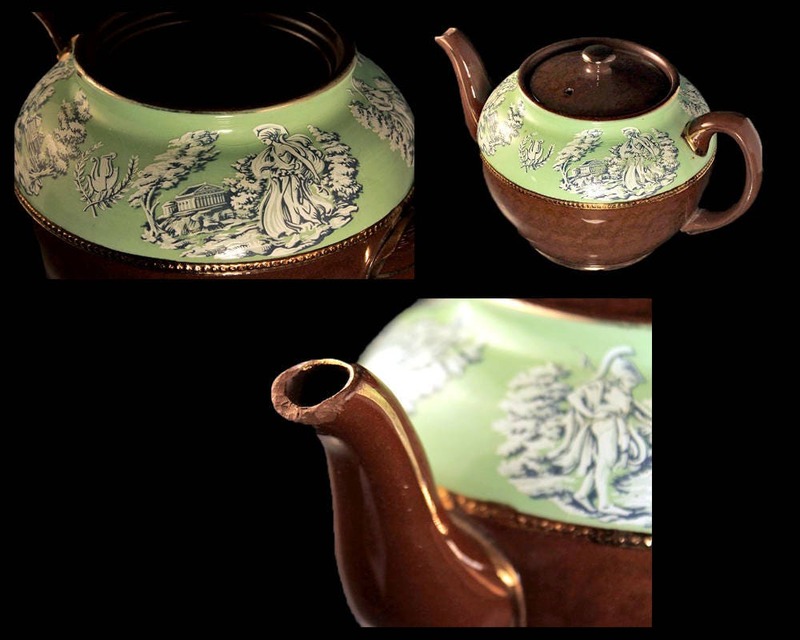 A wonderful item for the collector or tea connoisseur who loves old teapots.